The Mole had been working very hard all morning, spring-cleaning his little home. First with brooms, then with dusters; then on ladders and steps and chairs, with a brush and a pail of whitewash; till he had dust in his throat and eyes, and splashes of whitewash all over his black fur, and an aching back and weary arms. Spring was moving in the air above and in the earth below and around him, penetrating even his dark and lowly little house with its spirit of divine discontent and longing. It was small wonder, then, that he suddenly flung down his brush on the floor, said "Bother!" and "O blow!" and also "Hang spring-cleaning!" and bolted out of the house without even waiting to put on his coat. If you have never read about the adventures of Ratty and Mole and Badger and Toad, glorious Toad, then now is the time to do it. I guarantee you will immediately want to go on a picnic on the river, a picnic that consists of "coldtonguecoldhamcoldbeefpickledgherkinssaldfrenchrollscressandwidgespottedmeatgingerbeerlemonade"
They ran from one part of the garden to another and found so many wonders that they were obliged to remind themselves that they must whisper or speak low. He showed her swelling leafbuds on rose branches which had seemed dead. He showed her ten thousand new green points pushing through the mould. They put their eager young noses close to the earth and sniffed its warmed springtime breathing; they dug and pulled and laughed low with rapture until Mistress Mary's hair was as tumbled as Dickon's an her cheeks were almost as poppy red as his. For years I read this book every single spring. I still do sometimes. This book also convinces me every spring that I really want to garden. That desire does not always survive for the entire summer but I do start out with enthusiasm. The problem is, I really want to discover a walled English garden and bring it back to life. Since that isn't going to happen, I will just continue to read about it again and again and again. All down the stone steps on either side were periwinkles in full flower, and she could now see what it was that had caught at her the night before and brushed, wet and scented, across her face. It was wistaria. Wistaria and sunshine...she remembered the advertisement. Here indeed were both in profusion. The wistaria was tumbling over itself in its excess of life, its prodigality of flowering; and where the pergola ended the sun blazed on scarlet geraniums, bushes of them, and nasturtiums in great heaps, and marigolds so brilliant that they seemed to be burning, and red and pink snapdragons, all outdoing each other in bright, fierce colour. The ground behind these flaming things dropped away in terraces to the sea, each terrace a little orchard, where among the olives grew vines on trellises, and fig-trees, and peach-trees, and cherry-trees. The cherry-trees and peach-trees were in blossom--lovely showers of white and deep rose-colour among the trembling delicacy of the olives; the fig-leaves were just big enough to smell of figs, the vine-buds were only beginning to show. 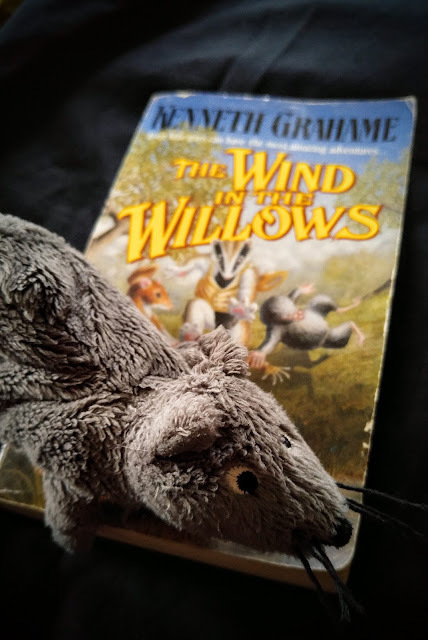 And beneath these trees were groups of blue and grey, sharp cactuses, and the grass was thick with dandelions and daisies, and right down at the bottom was the sea." This charming novel of four disparate English women who rent a small Italian castle for the month of April begs to be read over and over. The story is slight but the charm and wry wit are captivating. The women themselves blossom during the holiday and return home different then they went. I had to restrain myself from filling this blog post with quotes. I do have to add one more because it so perfectly describes the emotion. Mrs. Wilkins, who, like all the shy, once she was started; lunged on, frightening herself to more and more speech by the sheer sound of what she had said last in her ears." Are there any books that, for you, are inextricably tied to spring? Lovely! The Secret Garden is SUCH a "spring" book. It is, isn't it? It is just one of those childhood books that just makes me happy. 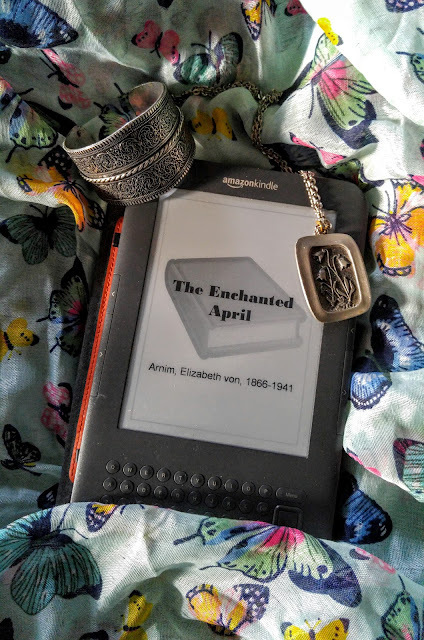 I was just thinking that I should re-read The Enchanted April, IN April this time! I don't remember The Secret Garden as well as A Little Princess, so it might be time for a re-read of that as well. The Little House books are very seasonal, aren't they? They also have fantastic descriptions of food. Reading Farmer Boy always makes me hungry. I was flipping through The Enchanted April looking for the quote I wanted and now I want to read it all over again. I love that book. 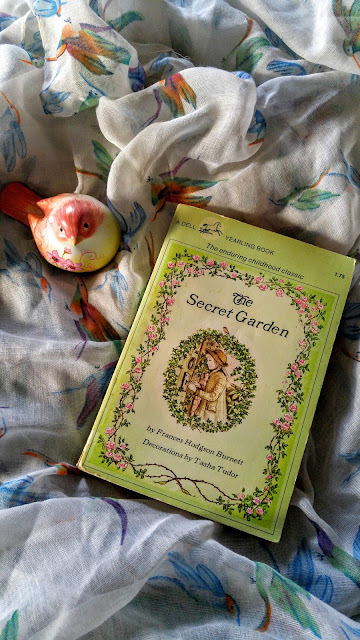 I always loved The Secret Garden more than A Little Princess but recently my daughter has been reading A Little Princess over and over and now I think I need to refresh my memories of it.